Patriotic Fireworks Extravaganza following the game (weather permitting). The Flying Tigers will be honoring current and retired members of the military for their service to the country. 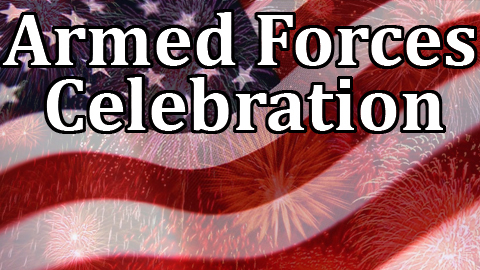 Veterans and current military personnel will also receive FREE admission. There will be a special JROTC Pass and Review celebration on the field prior to the game. Roy Powers and the Last Exit Blues Band will be performing in the concourse prior to the game. The Flying Tigers will be hosting North Lakeland Little League’s team parties before and during the game. Each team will parade on the field prior to the game. The Flying Tigers annual Tiger Trot 5K will take place on Saturday, May 19 at Joker Marchant Stadium. The race will begin at 8:00 am with registration and packet pickup beginning at 7:00 am. Trophies will be awarded to the Overall Male/Female, Masters Male/Female as well as age group winners. There will also be special military team awards. 5K entry fee is $25 and includes race t-shirt (while supplies last) and a special dog tag. The Tiger Trot benefits the Detroit Tigers Foundation of Florida, Polk County ROTC programs and The Ledger’s Newspaper in Education Program. To register please click here. 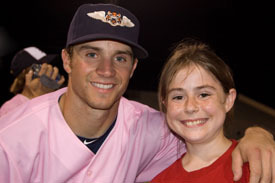 This article originally appeared on the official website of the Lakeland Flying Tigers. Click here to view the original story. The Lakeland Flying Tigers inaugural Red, White and The Blues Celebration and Backyard BBQ festival on July 4 at Joker Marchant Stadium helped the Boys and Girls Clubs of Lakeland & Mulberry raise over $14,000 during the inaugural event. The Boys & Girls Clubs raised money through sponsorships, selling food tickets for the BBQ and working concession stands. Presenting sponsors included True MD, Nite Owl Urgent Care and Regal Automotive Group. The mission of the clubs is to provide a quality developmental program which empowers Lakeland & Mulberry youth, especially those from disadvantaged circumstances, to become productive adults. Each year, Boys & Girls Clubs of Lakeland & Mulberry serve more than 2,000 young people through its Clubs, summer sites and outreach programs. Money that was raised will support programs and expenses at the club. The Red, White & The Blues event included the Backyard BBQ Festival, Lakeland Flying Tigers game, a tribute performance by The Blues Brothers, Aretha and Cab Calloway by the Jake and Elwood Blues Brothers Revue and then a spectacular dueling fireworks show choreographed to patriotic music. The Flying Tigers are a Class A Affiliate of the Detroit Tigers. 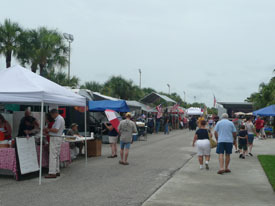 For more information please visit the Flying Tigers online at www.LakelandFlyingTigers.com. 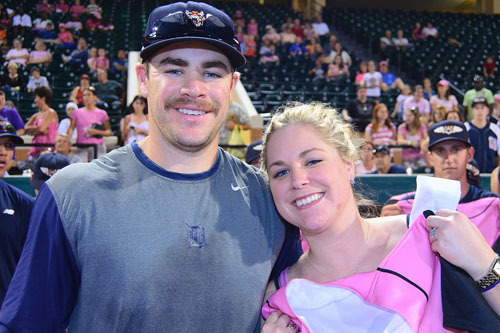 The Lakeland Flying Tigers Pink in the Park Night on May 1 at Joker Marchant Stadium helped the Mary Kay Foundation raise over $12,000 for the inaugural event. The Mary Kay Foundation proudly supports research dedicated to finding cures for cancers that affect women and programs committed to ending domestic violence. Flying Tiger players and coaches wore pink jerseys during the game and fans had the opportunity to take the jersey off the back of their favorite player after the game. Autographed Detroit Tiger pink bats were auctioned off during the game. There was a pre-game cancer survivor parade as well as a pink Cadillac parade on the field. Bases were painted pink as well. Even the post-game fireworks show had bursts of pink. The inaugural event was a great success helping raise awareness and funds for the Mary Kay Foundation. Flying Tiger Alden Carrithers with his pink jersey winner after the game.